In Jewish history, Rabbinic lines often pass from Father-in-Law to Son-in-Law. Less common is for a line to pass from Grandfather-in-Law to Grandson-in-Law. But the Baeck-Dreyfus family follows exactly that pattern. Leo Baeck (above right, 1873-1956) was a leading German Reform Rabbi and the leader of German Jewry during the Holocaust. Baeck's father Samuel was also a rabbi. In 1905 the younger Baeck published The Essence of Judaism, in response to Adolf von Harnack's The Essence of Christianity. This book, which interpreted and defended Judaism through a prism of Neo-Kantianism tempered with religious existentialism, made him a famous proponent for the Jewish people and faith. Leo Baeck and his wife, Natalie, had one child, Ruth, who married Hermann Berlak, an accountant, in 1923. Ruth and Hermann Berlak had one daughter, Marianne. As conditions in Germany worsened, despite his many opportunities to emigrate, Baeck chose to remain with his people in Germany. In 1933, after the Nazis seized power, Baeck worked to defend the Jewish community as president of the Reichsvertretung der Deutschen Juden, an umbrella organization that united German Jewry from 1933 to 1938. After the Reichsvertretung was disbanded during the November Pogrom, the Nazis reassembled the council's members under the government controlled Reichsvereinigung. Leo Baeck headed this organization as its president until his deportation. On 27 January 1943, he was deported to the Theresienstadt concentration camp, where he became the "honorary head" of the Council of Elders (Judenrat) in Theresienstadt. Natalie Baeck died in Berlin in 1937. Following Kristallnacht, Marianne was sent to England on a Kindertransport. Despite deplorable conditions, Leo Baeck survived his imprisonment in Theresienstadt. After the War, Baeck lived in London, taught at Hebrew Union College in America, and became Chairman of the World Union for Progressive Judaism. In 1950, Marianne married A. Stanley Dreyfus (above left), a recently ordained American-born Reform Rabbi whom she met while accompanying her grandfather, Leo Baeck, on a trip to the US. Rabbi Dreyfus himself went on to a very distinguished career as an American Reform Rabbi, serving congregations in Indiana, Texas and New York. He was the rabbi of Union Temple of Brooklyn, NY from 1965 to 1979, and then served as the Director of Rabbinic Placement of the Central Conference of American Rabbis (1980-1991). He taught Liturgy and Commentaries at the New York campus of Hebrew Union College-Jewish Institute of Religion for over four decades and chaired the Liturgy Committee of the CCAR from 1975 to 1979, overseeing the publication of the Reform prayerbooks Gates of Prayer, Gates of the House, Gates of Understanding, and Gates of Repentance. And he was an avid book collector. A. Stanley Dreyfus died in 2008, survived by Marianne and, among others, Rabbi Ellen Weinberg Dreyfus, his daughter-in-law, and, true to family history, Rabbi Elizabeth Richman, his granddaughter-in-law. Below is an assortment of books from Stanley’s and Marianne’s Library, reflecting their connection to the legacy of Leo Baeck and to Stanley’s interests in Liturgy, Jewish history, and the Reform movement. • Lund, Johann. DIE ALTEN JÜDISCHEN HEILIGTHÜMER, GOTTESDIENSTE, UND GEWOHNHEITEN. Hamburg, Verlegts Gottfried Liebernickel, Buchhändler, 1704. Original Publisher's Cloth. Folio. , 1090,  pages,  leaves of plates (1 folded). Illus. 35 cm. In German. Subtitle: "für Augen gestellet in einer ausführlichen Beschreibung des gantzen levitischen Priesterthums und fünff unterschiedenen Büchern. " Title translates to English as, "The Ancient Jewish Holy Places, Religious Services, and Habits. " Presented to Leo Baeck by the Landesverband der jüdischen Gemeinden der Nord-Rheinprovinz, The National Association of Jewish Communities of the North-Rhine Province, with a memo attached to inside front cover; dated May 28, 1952 with institutional stamp. CONTENTS: I. Von der Stiffts-Hütten, dero Verfertigung, Geräthen, Versetzung, so wol in der Wüsten als im Lande Canaan, und wo sie endlich geblieben -- II. Von dem Tempel, so wol dem ersten als dem andern, von dessen Erbauung, Gestalt, Pracht, Geräthen, [et]c, und zweymaliger Verstörung -- III. Von dem Hohen- und andern Priestern, deren Kleidern, Salbung, Amte, und alle Verrichtungen bey der Stiffts-Hütte und Tempel -- IV. Von den Leviten, deren Ursprung, und Aemtern zur Zeit der Stiffts-Hütte und des Tempels, auch was sie mit den Priestern im Amte gemein gehabt, wie auch von beyder Einkünfften und Verpflegung -- V. Von dem täglichen Gottesdienst der alten Hebräer in und ausser der Stiffts-Hütte und Tempel, dero Wochen-, Monat-, und Jahr-Festen. Portrait of Lund and opposite another full-page illustration depicting ancient priests of Israel, sacred precincts of a sanctuary area, Jerusalem on earth and heaven and the author at his work; title page printed in red and black; German text, printed double-column and with marginal side-notes printed throughout, arranged in topical sections; decorative initial letters, head and tailpieces, some with mystical symbolism; with engraved plates, some of which are double or folding, by J. W. Michael and J. G. Mentzel - temple areas, furnishings, the architecture of buildings as well as of sacred objects, candelabra, altars, coins & medals, costume of priests, numerology & calculations, various punishments including crucifixion and flogging, map of a large encampment with identification and with other curiosities of ancient times all relating to Jewish religious life and culture; within the text are other small illustrations, shofar horns, measuring requirements, a hat, a system for holding the neck of a beast, presumably for ritual sacrifice or proper butchering practice, and others; with several useful indexes at back, for Greek or Hebrew words in the text and a lengthy subject index; Stanley Dreyfus' [Baeck's grandson-in-law] copy with his notes laid in. Vellum covers worn, front vellum coming detached along edge. Internal pages darkened with light staining throughout, but all text is clear. Good Condition. (DREYFUS-3-13) (ID #28662) $450.00. • Simon, Akibah Ernst; 1899-; Buber, Martin; 1878-1965. בעיות: במה חדשית לחיי צבור. BE'AYOT: BAMAH HODSHIT LE-HAYE TSIBUR (VOLUME ONE, NUMBERS ONE AND TWO). Jerusalem: [? ], 1944-1949. Boards, 8vo, 2 volumes. In Hebrew. Handwritten inscription to Leo Baeck by 3 giants of 20th Century Judaism: Martin Buber, Y. L. Magnes, & A. Simon. Monthly periodical. Title translates to: "Issues: What's new in Community Life? " SUBJECT(S): Descriptor: Jewish-Arab relations -- History -- 1917-1948 -- Periodicals. Zionism -- Periodicals. Geographic: Palestine -- Politics and government -- Periodicals. Pages tanned. 10 holdings on OCLC. Bound in attractive special wooden boards, very handsome set. Good + condition. (DREYFUS-4-7) (ID #28580) $500.00. • Maybaum, Ignaz. Trans. From The German by Joseph Leftwich. Man and Catastrophe. SERMONS PREACHED AT THE REFUGEES SERVICES OF THE UNITED SYNAGOGUE. London, Allenson & Co., 1941. Cloth, 12mo, 160 pages. Inscribed by Maybaum to Leo Baeck's daughter and son-in-law, Ruth and Herman Berlak, "in der name LEO BACK zwischen uns knupft. Frances und Ignaz Maybaum, London NW2, Nov 9, 1941." Leo Baeck was at the time of the inscription soon to be deported to Theresienstadt. Maybaum was a German Rabbi arrested in 1935 "by the Gestapo, spending six weeks in prison before being released. In 1939 he left Germany on a Kindertransport and went to London, England…. From 1956 until his retirement in 1963, he lectured in homiletics and theology at Leo Baeck College. …. He is most frequently remembered for his controversial view in The Face of God After Auschwitz (1965) that the suffering of Jews in the Holocaust was vicarious atonement for the sins of the rest of the world (http: //en. Wikipedia.org/wiki/Ignaz_Maybaum). (DREYFUS-6-16) (ID #28730) $300.00. • Baer, Yitzhak. ישראל בעמים: עיונים בתולדות ימי הבית השני ותקופת המשנה וביסודות ההלכה והאמונה. YISRA'EL BA'-AMIM / ISRAEL AMONG THE NATIONS. Jerusalem; Mosad Byalik, 1955. Clothbound. 8vo. 144 pages. 22 cm. In Hebrew. Rabbi Leo Baeck's copy, warmly inscribed to him by the author, Yitzhak Baer. Title page verso in English: "Israel Among the Nations. An essay on the history of the period of the second Temple and the Mishna and on the foundations of the Halacha and Jewish religion. " Yitzhak Baer (1888–1980), was a German-Israeli historian and an expert in medieval Spanish Jewish history. "Born in Halberstadt, where he obtained a thorough Jewish education, Baer studied philosophy, classical philology, and history (the latter under Heinrich Finke) at the universities of Berlin, Strasbourg, and Freiburg. From 1919 Baer was research associate of the Akademie fuer die Wissenschaft des Judentums in Berlin, under whose auspices he went twice to Spain (1925–26) to collect archival source material on the history of the Jews in Christian Spain. In 1928 he was appointed lecturer and in 1930 professor of medieval Jewish history at the Hebrew University in Jerusalem. From 1932 to 1945 he was professor of general medieval history; he served from 1930 to 1959 as head of the university's department of Jewish history. Baer was one of the founders and editors of the Jewish historical review Zion. A coeditor of the "Historiographical Library" and Sefer ha-Yishuv, he took a leading part in the Israel Historical Society and was one of the 20 founding members of the Israel Academy of Sciences. He also contributed important articles to the German Encyclopaedia Judaica and its Hebrew counterpart (Eshkol). … His method seeks to bring to light the internal forces that fashioned the Jewish communities within the framework of general history and local conditions. Baer believed that the essential features of Jewish communal organization were already set during the early generations of the Second Temple period and that these forms of organization were a product of the religious and national experiences of the people, and not that the Diaspora gave birth to them, although there were changes reflecting special conditions of time and place. Baer also investigated the spiritual and religious world of the Jewish people from the Second Temple period and the Middle Ages. Among his studies in this area are a series of articles in Zion written between 1932 and 1961 dealing with the theology of the Sefer Hasidim and the Hasidei Ashkenaz in general; with the historical basis of halakhah; with the relations between Jews, the early Christian Church, and the Roman Empire until Constantine. According to Baer the driving force of Jewish history lies in the continuing socioreligious activity of groups of pious and practical men of faith who aimed at perfecting the world. They succeeded in influencing the active elements among the people, with their beliefs and teachings, maintaining close ties with the non-Jewish world, and participating in its religiocultural and socioethical development. " (2007 Encyclopedia Judaica). Subjects: Jews -- History -- 586 B. C. -70 A. D. Backstrip shaken, lightly worn and frayed at edges. Covers and endpages lightly soiled. Pages clean and fresh. Very good condition. (DREYFUS-6-3) (ID #28704) $175.00. • Bernfeld, Simon. תורה נביאים כתובים. TORAH NEVI'IM U-KHETUVIM = DIE HEILIGE SCHRIFT. Frankfurt A. M. ; J. Kauffmann, 1906. Clothbound. 8vo. XXXIV, 886 pages. 22 cm. First edition. Milli Berlak's copy with an old inscription (1910) to her and with a later (1955) autograph letter to her from Rabbi Leo Baeck laid in. The Baeck and Berlak families were intimately tied together during the Holocaust and pre-Holocaust period: Milli Berlak's brother Hermann married Leo Baeck's daughter Ruth Baeck; Milli Berlak's father, also named Leo, moved in with Leo Baeck in Berlin as conditions worsened after Kristallnacht and was eventually deported and murdered. In German. Quarter leather with decorative cloth and gilt lettering. Full title: "Die Heilige Schrift: nach dem masoretischen Text neu u¨bersetzt und erkla¨rt nebst einer Einleitung und einem Teil der Apokryphen. " Title translates as: "The Holy Scripture according to the Masoretic text newly translated and explained, together with an introduction and a portion of the Apocrypha" by Simon Bernfeld (1860-1940) a "German publicist and rabbi; born in Stanislau, Galicia, Jan. 6, 1860. His father, who was a good rabbinical scholar and also well versed in secular knowledge, was his first instructor. He took to writing Hebrew very early; and at the age of thirteen he translated a German novel into that tongue. …He entered the university of the German capital, and at the same time attended the Hochschule für die Wissenschaft des Judenthums. In 1885 he became a regular contributor to "Ha-Meli" (St. Petersburg), and in the same year obtained his doctor's degree. In March, 1886, he was elected chief rabbi of the Spanish and Portuguese community of Belgrade, the capital of Servia, and director of the Jewish school in that city. This position he held for about seven years. His new translation of the Bible, now in course of publication, has also been highly praised (see "Allg. Zeit. Des Judenthums, " 1901, No. 13). His chief significance, however, lies in the field of Neo-Hebraic literature. He belongs to the younger class of clear and forceful writers who have brought new life into modern Hebrew literature and have lifted the journalistic part of it to an eminence which it had not before attained. " (1906 Jewish Encyclopedia) His German translation of the Bible, which follows traditional translations, was published in several editions. Subjects: Bible -- Versions, German. Bible. O. T. German. OCLC lists 6 copies worldwide. Contains lengthy handwritten dedication from "Dr. Bloch" to Milli Berlak on the first endpage from the year 1910; Cloth worn, covers bumped at edges, backstrip shaken. Pages fresh and clean. Very good + condition. (DREYFUS-6-12) (ID #28713) $250.00. • Elbogen, Ismar. GESCHICHTE DER JUDEN IN DEUTSCHLAND. Berlin; Jüdische Buch-Vereinigung, 1935. Clothbound. 8vo. 319 pages. 21 cm. First edition. In German. Copy belonging to Marianne Berlak, granddauther of Leo Baeck, by Baeck's colleague Ismar Elbogen. Title translates as: "History of Jews in Germany. " The History of Jews in Germany traces the history of persecution in the middle ages, 19th century emancipation, and the position of the Jews in the Third Reich. Ismar Elbogen (1874–1943), was a scholar, teacher, and public figure. Elbogen was born in Schildberg, Posen province, and studied at the Breslau Rabbinical Seminary. Israel Lewy, the famous Talmud critic, was the teacher who most influenced him. In 1899 he began teaching Jewish history and biblical exegesis at the Collegio Rabbinico Italiano in Florence. While in Italy he perfected his knowledge in Italian Jewish history and literature. In 1903 he joined the faculty of the Hochschule fuer die Wissenschaft des Judentums in Berlin, teaching many subjects and for many years was involved unofficially in directing the institution. He was involved in the organizational life of German Jews, heading important committees and commissions. In 1938, in the wake of Nazi persecution, Elbogen immigrated to New York. He was appointed research professor simultaneously at four institutions: Jewish Theological Seminary, Hebrew Union College, Jewish Institute of Religion, and Dropsie College. Subjects: Jews -- Germany -- History. Covers lightly soiled and worn, pages lightly aged. Very good condition. (DREYFUS-6-5) (ID #28706) $100.00. • Gollancz, Victor. FROM DARKNESS TO LIGHT: A CONFESSION OF FAITH IN THE FORM OF AN ANTHOLOGY. London: Victor Gollancz, 1956. Cloth, 8vo, 668 pages. First Edition. Inscribed by author to Rabbi Leo Baeck on the front end paper "For Dr. Baeck/with homage/VG. " With the ownership stamp of Leo Baeck's grandson-in-law, Rabbi Stanley Dreyfus, on the front pastedown. "In addition to his highly successful publishing business, [Victor] Gollancz was a prolific writer on a variety of subjects, and put his ideas into action by establishing campaigning groups. His 1943 pamphlet 'Let My People Go', which called for an attempt by the Allied powers to rescue Jews under threat of extermination in occupied Europe, reached a mass audience in 1943, following widespread coverage in the British media in December 1942 of the Nazi's extermination policy. …. Along with Eleanor Rathbone, Gollancz was the foremost British campaigner during the Second World War on the issue of the Nazi extermination of European Jewry" (Wikipedia, 2011). An important association copy, linking these two important leaders of European Jewry during the Holocaust. Very Good Condition. (DREYFUS-6-17) (ID #28731) $200.00. • Kollenscher, Max. JÜDISCHES AUS DER DEUTSCH-POLNISCHEN ÜBERGANGSZEIT; POSEN 1918-1920. Berlin; "ewer" Buchhandlung, H. Werner,, 1925. Clothbound. 8vo. 223 pages. 22 cm. First Edition. Leo Baeck's copy, with his confirmed ownership signature on front end paper. Baeck was himself born in Posen, where his father, Samuel Baeck, was a rabbi. In German. Contains frontispiece plate of synagogue of Posen. Title translates as: "Jews in the German-Polish transition period; Posen 1918-1920." This volume constitutes both a history of Posen and the Jewish experience during the revolutions preceding the first world war, as well as a set of tracts and political programs outlined by Kollenscher for Zionist communal acitivites in the city of Posen. Max Kollenscher was born in Posen in 1875. He was a lawyer and organized the "Juedischer Volksrat" in Posen after World War I. From 1925 until his emigration to Palestine in 1934, Kollenscher was a member of the executive board of the Berlin Jewish community. He was an active Zionist and the author of several publications on Jewish communal politics. He died in Palestine in 1937. Subjects: Jews -- Poland -- Poznan (Province). Covers soiled and lightly foxed, endpages lightly aged and foxed, outer edges lightly soiled and foxed. Pages lightly aged, but clean and crisp throughout. Good+ condition. (DREYFUS-6-6) (ID #28707) $350.00. • Lehrmann, Chanan. L'ÉLÉMENT JUIF DANS LA PENSÉE EUROPÉENNE. Paris; Éditions Du Chant Nouveau, 1947. Clothbound. 8vo. 243 pages. 22 cm. First edition. In French. Rabbi Leo Baeck's copy, with lengthy inscription to him by the author. Title translates as: "The Jewish Elements in European thought. " This volume by Rabbi Chanan Lehrmann (1905-1977) develops a thorough history of the influence of Jewish literature and poetry on the cultural and literary milieus in European literature, specifically, the Italian Rennaissance, Shakespeare and Racine, Symbolism and its interconnections with Zionism, and Jewish literature in France. Subjects: Jewish philosophy. Jewish literature -- History and criticism. Jews in literature. Backstrip lightly worn, gilt lettering on covers lightly faded. Endpages and margins lightly aged. Pages clean and fresh. Very good + condition. (DREYFUS-6-4) (ID #28705) $125.00. • Scholem, Gershom. ספר היובל לכבוד גרשם שלום למלאת לו שישים שנה. SEFER HA-YOVEL: LI-KHEVOD GERSHOM SHALOM: LI-MELOT LO SHISHIM SHANAH / GERSHOM SCHOLEM JUBILEE VOLUME, ON THE OCCASION OF HIS SIXTIETH BIRTHDAY. Jerusalem; Magnes, 1958. Clothbound. 8vo. 294 pages. 24 cm. First edition. In Hebrew. With frontispiece photograph of Gershom Scholem (1898–1982), the most important scholar of Jewish mysticism and a towering figure in Jewish intellectual life. "The main themes that represent his thought are the emergence of Kabbalah in Europe in mid-12th century as the result of a synthesis between Gnostic and Neoplatonic elements; the rise of messianic interest among the kabbalists after the expulsion of the Jews from Spain; the reaction to the trauma of the expulsion in the theories of the Safed kabbalists, especially the Lurianic one; the spread of this type of messianic Kabbalah among wider audiences, which prepared the way for the emergence of the Shabbatean movement, and last but not least, the assumption that the wide influence of the Shabbatean movement had an impact on the emergence of three main religious developments since the 18th century: Hasidism, Enlightenment, and Reform. " (2007 Jewish Encyclopedia) The Jubilee volume was published the same year Scholem received the "Israel Price in Jewish Studies. " Subjects: Judaism. Scholem, Gershom Gerhard. Covers lightly soiled and lightly worn. Edges bumped. Pages lightly aged, but clean and fresh. Very good + condition. (DREYFUS-6-9) (ID #28710) $300.00. • Soloweitschik, Max. DIE WELT DER BIBEL: EIN BILDERATLAS ZUR GESCHICHTE UND KULTUR DES BIBLISCHEN ZEITALTERS. Berlin; Jüdischer Verlag, 1926. Clothbound. 4to. 240,  pages. 29 cm. First German edition. With ownership signature of Marianne Berlak, the only grandchild of Rabbi Leo Baeck. Blue cloth with gilt lettering. Translation of: Sekhiyot ha-Mikra. Title translates as: "The World of the Bible: an Illustrated Atlas of the History and Culture of the Biblical Era. " Includes three full color large fold out maps of Palestine, and 693 color and black and white plates: depicting landscape portraits, plant species, stone inscriptions, architectural layouts, pottery, jewelry, tools, and other artifacts from the land of the Bible. Max Soloweitschik (1883-1957) was a Lithuanian Zionist activist, minister of Jewish affairs in the Lithuanian parliament from 1919 to 1922, one time member of the World Zionist Organization, member of the editorial board for the Judisches Lexikon and the German language Encyclopaedia Judaica, he emigrated to Palestine in 1933 and served as director of the Angle-Palestine Bank and later as director of the Education Department of the General Council of the Palestine Jewish Community, and later first director of the voice of Israel radio service. He published a number of historical-critical works and essays on the Bible throughout his life. (Information from David Engel; "Hebrew Nationalism and Biblical Criticism" in "Ki Baruch Hu" 1999.) Subjects: Bible -- Antiquities. Bible -- History of Biblical events. Bible -- Geography -- Maps. Israel. Bible. O. T. -- Antiquities. Bible. O. T. -- History of contemporary events. Covers lightly soiled, backstrip aged and lightly soiled. Pages lightly aged, very fresh and clean. Very good + condition. (DREYFUS-6-10) (ID #28711) $50.00. • Stern, Selma. THE COURT JEW: A CONTRIBUTION TO THE HISTORY OF THE PERIOD OF ABSOLUTISM IN CENTRAL EUROPE. Philadelphia, Jewish Publication Society Of America, 1950. Clothbound. 8vo. xvii, 312 pages. 22 cm. First edition. Leo Baeck's copy inscribed to him by the author. Translated from the German manuscript by Ralph Weiman. Selma Stern-Taeubler (1890–1981), "born in Kippenheim (Baden), was the first girl to attend the Gymnasium in Baden-Baden. She then studied history and languages at the universities of Heidelberg and Munich, graduating in 1913. She specialized at first in general German history, but became interested in the history of German Jewry. In 1919 she was appointed a research fellow at the Akademie fuer die Wissenschaft des Judentums in Berlin at the invitation of its founder and director, the historian Eugen Taeubler, whom she married in 1927. Her special field was compiling source material on the relationship between the Prussian state and its Jews from 1648 to 1812. Her scholarly publications were based on the premise that Judaism had to be studied in the context of the political and cultural environment. The first two volumes of her chief work, Der preussische Staat und die Juden, were published in 1925, and a third volume followed in 1938, but almost the entire edition was destroyed by the Nazis. In 1934 the Akademie was closed by the Nazis, and in 1941 Selma Stern-Taeubler and her husband immigrated to the United States, settling in Cincinnati. In 1947 she became the first archivist of the American Jewish Archives (at the Hebrew Union College, Cincinnati), a post she held until her retirement in 1957. In 1960 Selma Stern-Taeubler moved to Basle, Switzerland. (2007 Encyclopedia Judaica) Subjects: Court Jews -- Germany. Jews -- Germany -- Economic conditions. Capitalists and financiers -- Europe. Hoffaktor. Geschichte 1640-1740. Top of backstrip chipped, edges of backstrip worn. Covers lightly soiled. Endpages lightly soiled. Pages clean and fresh. Very good- condition in Good Jacket. (DREYFUS-6-8) (ID #28709) $200.00. • Stern, Selma; Ludwig Lewisohn. THE SPIRIT RETURNETH. Philadelphia; Jewish Publication Society Of America, 1946. Clothbound. 8vo. 265 pages. 22 cm. First edition. Leo Baeck's copy inscribed to him by the author. "The Spirit Returneth" is a novel by Selma Stern, translated from the German manuscript by Ludwig Lewisohn. Selma Stern-Taeubler (1890–1981), "born in Kippenheim (Baden), was the first girl to attend the Gymnasium in Baden-Baden. She then studied history and languages at the universities of Heidelberg and Munich, graduating in 1913. She specialized at first in general German history, but became interested in the history of German Jewry. In 1919 she was appointed a research fellow at the Akademie fuer die Wissenschaft des Judentums in Berlin at the invitation of its founder and director, the historian Eugen Taeubler, whom she married in 1927. Her special field was compiling source material on the relationship between the Prussian state and its Jews from 1648 to 1812. Her scholarly publications were based on the premise that Judaism had to be studied in the context of the political and cultural environment. The first two volumes of her chief work, Der preussische Staat und die Juden, were published in 1925, and a third volume followed in 1938, but almost the entire edition was destroyed by the Nazis. In 1934 the Akademie was closed by the Nazis, and in 1941 Selma Stern-Taeubler and her husband immigrated to the United States, settling in Cincinnati. In 1947 she became the first archivist of the American Jewish Archives (at the Hebrew Union College, Cincinnati), a post she held until her retirement in 1957. In 1960 Selma Stern-Taeubler moved to Basle, Switzerland. Her historical novel, The Spirit Returneth… (1946; Ger. 1972: Ihr seid meine Zeugen), deals with the persecution of the Jews during the time of the Black Death and helped the author to understand the persecutions of her own time. " (2007 Encyclopedia Judaica) Subjects: Jews -- Europe -- History -- Fiction. Leo Covers lightly worn, outer edges lightly soiled, page margins lightly aged. Clean and fresh. Very good + condition in Good jacket. (DREYFUS-6-7) (ID #28708) $200.00. • Weil, Arthur. ZWISCHEN GOLA UND MEDINA; PREDIGTEN DER ZEIT. Basel; Brin, 1951. Clothbound. 12mo. 335 pages.19 cm. First edition. Leo Baeck's copy, inscribed to him by the author. In German. Blue cloth with gilt lettering. Title translates as: "Between Gola and Medina; Sermons of our Time. " This collection of sermons and essays by Rabbi Arthur Weil of Basel, Switzerland, is devoted to understanding the complexity and reasons for the beginning of the State of Israel. Contents: Part One: A. Aspects of the Jewish religion; B. Our community and its institutions; C. Religious and political problems; D. Religious and Political Education; E. Jewish destiny / Second part: A. Declaration of the State of Palestine; B. Founding of the Jewish State. Subjects: Jewish sermons -- Switzerland. OCLC lists 12 copies worldwide. Covers lightly worn. Page margins lightly aged. Corners lightly bumped. Pages very fresh and clean. Very good+ condition. (DREYFUS-6-2) (ID #28703) $125.00. • Schonfeld, Victor. שפת משה. S´EFAT MOSHEH / A HEBREW READER [VOLUME 2]. London; Cailingold, 5697. Clothbound. 12mo. XXXVIII, 96,  pages. 18 cm. With ownership signature of Marianne Berlak, the only grandchild of Rabbi Leo Baeck. Holocaust-era imprint. Fourth Edition. In Hebrew, with bilingual index in English and Hebrew. Black and white plate on last page depicts a young boy engaged with the Hebrew Reader. "A Hebrew Reader" is a bilingual English and Hebrew grammar for elementary school age learners, compiled by the Rabbi Victor Schonfeld, (1880–1930), an English rabbi and educator. The reader went through many published editions, throughout the 1920's until the 1950's, and this second volume constitutes a reader for the student with some experience with Hebrew already. The author: "Schonfeld was born in Hungary. He served as rabbi of the Montefiore Society in Vienna until 1909, when he went to the North London Beth Hamidrash, which became the Adath Yisrael Synagogue in 1911. In 1920 Schonfeld took up an invitation to become head of the Mizrachi schools in Eretz Israel; dissatisfied with conditions, he returned to his former post two years later. In 1927 he founded the Union of Orthodox Hebrew Congregations in England, and in 1929 he established the Jewish Secondary Schools Movement. Schonfeld was an outstanding preacher and teacher, wielding great influence beyond the confines of his congregation, partly through the youth society, Ben Zakkai, which he founded. Apart from publishing a number of textbooks for religious schools, a volume of his sermons and essays was published posthumously by his son Solomon (Judaism as Life's Purpose, 1930; a shorter edition Life's Purpose, 1956). " (2007 Encyclopedia Judaica). Subjects: Readers, Hebrew. OCLC lists one copy of the 1937 printing worldwide (National Library of Israel). Green cloth covers lightly worn on edges of backstrip. Bottom corner lightly bumped. Pages aged, but very clean and fresh. Very good + condition. (DREYFUS-6-1) (ID #28702) $50.00. • Ba'er, Yitshak (Baer). Toldot Ha-Yehudim Bi-Sefarad Ha-Notsrit. Tel Aviv: am oved, 1944. Cloth, 8vo, 2 volumes, 608 pages. Includes fold out maps; 22 cm. In Hebrew. Rabbi Leo Baeck's copy, warmly inscribed to him by the author, YA Baer. With the later ownership stamp of Rabbi Stanley Dreyfus, Baeck's grandson-in-law. Contents: v. 1. Mi-tehiatan shel ha-kehilot 'Ad herev hurbanan bi-shenat 151 [1390 or 1391] -- v. 2. Mi-hurbanan shel 151 [1390 or 1391] Had ha-gerush. 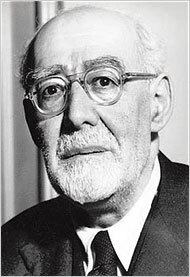 Yitzhak Baer (1888–1980), was a German-Israeli historian and an expert in medieval Spanish Jewish history. "Born in Halberstadt, where he obtained a thorough Jewish education, Baer studied philosophy, classical philology, and history (the latter under Heinrich Finke) at the universities of Berlin, Strasbourg, and Freiburg. From 1919 Baer was research associate of the Akademie fuer die Wissenschaft des Judentums in Berlin, under whose auspices he went twice to Spain (1925–26) to collect archival source material on the history of the Jews in Christian Spain. In 1928 he was appointed lecturer and in 1930 professor of medieval Jewish history at the Hebrew University in Jerusalem. From 1932 to 1945 he was professor of general medieval history; he served from 1930 to 1959 as head of the university's department of Jewish history. Baer was one of the founders and editors of the Jewish historical review Zion. A coeditor of the "Historiographical Library" and Sefer ha-Yishuv, he took a leading part in the Israel Historical Society and was one of the 20 founding members of the Israel Academy of Sciences. He also contributed important articles to the German Encyclopaedia Judaica and its Hebrew counterpart (Eshkol). … His method seeks to bring to light the internal forces that fashioned the Jewish communities within the framework of general history and local conditions. Baer believed that the essential features of Jewish communal organization were already set during the early generations of the Second Temple period and that these forms of organization were a product of the religious and national experiences of the people, and not that the Diaspora gave birth to them, although there were changes reflecting special conditions of time and place. Baer also investigated the spiritual and religious world of the Jewish people from the Second Temple period and the Middle Ages. Among his studies in this area are a series of articles in Zion written between 1932 and 1961 dealing with the theology of the Sefer Hasidim and the Hasidei Ashkenaz in general; with the historical basis of halakhah; with the relations between Jews, the early Christian Church, and the Roman Empire until Constantine. According to Baer the driving force of Jewish history lies in the continuing socioreligious activity of groups of pious and practical men of faith who aimed at perfecting the world. They succeeded in influencing the active elements among the people, with their beliefs and teachings, maintaining close ties with the non-Jewish world, and participating in its religiocultural and socioethical development. " (2007 Encyclopedia Judaica). SUBJECT(S): Jews -- Spain -- History. Geographic: Spain -- Ethnic relations. Spain -- History -- 711-1516. Includes bibliographical references. OCLC lists 27 copies worldwide. Boards slightly bowed, spines sunned, otherwise Good+ Condition. (DREYFUS-6-15) (ID #28729) $325.00. • (Frankfurt A. M.) Hahn, Joseph Yuspa Ben Phinehas Seligmann, Of Nordlingin, 1570-1637. SEFER YOSEF OMETS... DINIM HA-NEHUGIM BE-KHOL HA-SHANAH... 1723. Period Cloth, 12mo, 212 leaves [i. E. 424 pages]; 16 cm. In Hebrew. Hahn of Nordlingen was a "German rabbi and author. Hahn spent all his life in Frankfurt. He was present during the Fettmilch riots, the subsequent expulsion of the Jews from the city in 1614, and their triumphant return two years later after Fettmilch was hanged. Hahn was head of the Frankfurt bet din and of the local yeshivah. When there was no other incumbent, he also filled the office of communal rabbi. Hahn was a contemporary and colleague of Isaiah Horowitz (Shelah). Hahn is best known for his book Yosif Omets (Frankfurt, 1723). Hahn's Yosif Omets Deals mainly with the laws and customs of the Jewish calendar and liturgy, particularly those prevalent in contemporary Frankfurt. He quotes the custom of reciting the hymn "Lekhah Dodi " on Friday evenings as a 'new' one, recently introduced. Hahn deliberately substitutes his own phrases for those which, in the original, refer to 'going out' to meet the Sabbath, since this custom obtained only in Erets Israel, where the hymn was composed; the words he substituted retain the acrostic of the author's name. Hahn also voiced his displeasure at the new custom of delaying the commencement of the evening service on the first night of 'Shavuot until a late hour. The Yosif Omets is a valuable source book for the history of the contemporary Frankfurt Jewish community. Hahn mentions, for instance, the local Purim (Adar 20), instituted to commemorate the hanging of Fettmilch (no. 1107–09). He also records the comparatively slight damage suffered by the community as a result of the passage of soldiers through the area during the Thirty Years' War. The Yosif Omets is written in a pious vein, and the concluding chapters are devoted to ethics. In the sections on pedagogy, Hahn deplored the ignorance of the Bible prevalent among rabbis of his day. He suggested that a boy who showed no sign of progress in the study of the Talmud by the age of 13 be withdrawn from its study and taught Bible instead" (Tobias in EJ, 2007). SUBJECT(S): Judaism -- Customs and practices -- Early works to 1800. Judaism -- Germany -- Frankfurt am Main -- Customs and practices -- Early works to 1800. Jews -- Germany -- Frankfurt am Main -- History. OCLC lists 10 copies worldwide. Lacking final 12 leaves; in addition leaves 97-104 in period handwritten facsimile only. Period wrappers worn, heavy stains to first and final pages, otherwise Good Condition. Important. (DREYFUS-6-13) (ID #28714) $300.00. • Mendelsohn, Moses. PHÄDON ODER ÜBER DIE UNSTERBLICHKEIT DER SEELE IN DREY GESPRÄCHEN. Karlsruhe; Schmiederischen Buchhandlung, . Quarter leather over marbled board. 12 mo. 52, 224 pages. 17 cm. In German. Title translates as "Phaedo or on the Immortality of Souls in three discussions. " Beautiful gilt lettering and ornate decoration on spine with marbled endpages. Mendelssohn's Phaedon, for which he became known as the "Jewish Socrates, " was sold out within four months of its first printing. "The 'Phädon' was the most widely read book of its time. Its special charm was its elegant and lucid style. Never before in Germany had philosophical questions been treated in such clear language; so that his contemporaries with justice called him the 'German Plato. ' The "Phädon" is one of the best productions of classic German prose; it was reprinted fifteen times and translated into nearly all the European languages, while a number of Hebrew versions were made. The Crown Prince of Brunswick was so delighted with it that during a visit to his royal uncle in Berlin in the autumn of 1769, he invited the author to visit him at the castle, and expressed the wish that he might induce him to come to Brunswick. " (Jewish Encyclopedia 1906) Subjects: Immortality - Early works to 1800. Covers worn at edges, with top headband shaken, light pencil marks at endpages, pages clean, with light foxing scattered throughout. Very good + condition. (DREYFUS-5-9) (ID #28595) $400.00. • LEHRBUCH DER ISRAELITISCHEN RELIGION. Stuttgart; Hallberger, 1837. Clothbound. 12mo. XXIV, 190 pages. 19 cm. First edition. In German. With gilt lettering on spine listing the title, place of publication and date published. Full title: "Lehrbuch der Israelitischen Religion, zum Gebrauche der Synagogen und israelitischen Schulen im Königreich Württemberg: auf Veranstaltung der Königl, " which translates as "Textbook of Israelite Religion, for the use of Synagogues and Israelite schools in the Kingdom of Württemberg: of the Royal Meeting. " This textbook, a reform work printed in German, is the product of an interesting time, when the Jews of Wurttemberg and Stuttgart had recently been near emancipated from most feudal restrictions and had obtained civil equality in Wurttemberg on April 25, 1828, with a central Jewish executive created in Stuttgart in 1831 that functioned under governmental supervision. Sermons printed in German by orthodox rabbis for a small community in a town of mostly liberal and secular Jews, under the auspice of the authority of the Kingdom. Subjects: Judaism - Study and teaching. Jews - Education - Germany. Jüdische Erziehung. OCLC lists 11 copies worldwide. Later cloth binding in near fine condition. Pages lightly foxed, clean. Very good + condition. (DREYFUS-5-1) (ID #28587) $250.00. • Friedländer, David. REDEN, DER ERBAUUNG GEBILDETER ISRAELITEN GEWIDMET. Berlin; In Commission In Der Maurerschen Buchhandlung, 1815. Clothbound. 8vo. 76 pages. 21 cm. First edition. In German. Later green cloth with decorative gilt bordering covers and spine. "Speech, Devoted to the Creation of Educated Jews", was the work of David Friedlander (1750-1834), the intellectual successor to Moses Mendelssohn, a secular authority who significantly assisted with the emancipation of Jews in Berlin, patron of the Von Humboldt brothers, and founder of a Jewish free school. This volume is concerned with commerce and banking, the use of time, and the Day of Atonement in Jerusalem. An important early Reform imprint. OCLC lists 9 copies worldwide, only 2 in the US (HUC & Harvard), none in New York. Cloth worn at crease on edges of backstrip, pages lightly warped from moisture, edges lightly browned, with tiny tears along edge of title page. Internally very clean. Very good condition. (DREYFUS-5-3) (ID #28589) $350.00. • Wessely, Naphtali Herz, 1725-1805. מכתב שני: תשובה. MIKTAV SHENI... [Berlin], 1782. First edition. Paper Wrappers, 12mo,  leaves. 16 cm. In Hebrew. Vinograd, Berlin 310. Wessely (1725- 1805) was an "18th-century German Jewish Hebraist and educationist …. [He] passed his childhood at Copenhagen, where his father was purveyor to the king. In addition to rabbinical studies under Jonathan Eybeschütz, he studied modern languages. As the representative of the banker Feitel, he later visited Amsterdam, where he published (1765-66) his Lebanon, or Gan Na'ul, a philological investigation of Hebrew roots and synonyms. After his marriage at Copenhagen, he represented Feitel at Berlin, and there became associated with Mendelssohn. Wessely encouraged the latter in his labors by publishing Alim li-Terufah, a work advocating the "bi'ur" and the translation of the Bible into German. To this work Wessely himself contributed a commentary on Leviticus (Berlin, 1782) …. Wessely was an advocate of the educational and social reforms outlined in Emperor Joseph II's Toleranzedict (Patent of toleration). He even risked his reputation for piety by publishing a manifesto in eight chapters, entitled Divre Shalom ve-Emet (Words of Peace and Truth), in which he emphasized the necessity for secular instruction, as well as for other reforms, even from the points of view of the Mosaic law and the Talmud…. By thus espousing the cause of reform, as well as by his support of M. Mendelssohn, Wessely incurred the displeasure of the rabbinical authorities of Germany and Poland, who threatened him with excommunication…. His enemies, however, were finally pacified through the energetic intervention of the Italian rabbis, as well as by Wessely's pamphlets Meor en, in which he gave evidence of his sincere piety. In 1788 Wessely published in Berlin his ethical treatise Sefer ha-Middot (The Book of Virtues), a work of Musar Literature. He also published several odes; elegies, and other poems; but his masterwork is his Shire Tif'eret (5 vols. ; i. -iv., Berlin, 1782-1802; v., Prague, 1829), describing in rhetorical style the exodus from Egypt…. Wessely influenced his contemporaries in various directions. As a scholar he contributed, by his profound philological researches, to the reconstruction of the language of the Bible, though his work is marred by prolixity and by his refusal to admit shades of meaning in synonyms. As a poet he possessed perfection of style, but lacked feeling and artistic imagination. No one exerted a greater influence than he on the dissemination of modern Hebrew, and no one, on the other hand, did more to retard the development of pure art and of poetic intuition. Because of his energetic commitment to the cause of Jewish emancipation, Wessely may be regarded as a leader of the Maskilim" (Wikipedia, 2012SUBJECT(S): Jewish religious education of children. An answer by Wessely to a letter from Triest concerning a former letter of his. OCLC lists 3 copies worldwide (Columbia, Stanford, Brandeis). Wear to wrappers, internally Very Good Condition. (DREYFUS-6-14) (ID #28727) $350.00. • [Binding] Harburger, Juda Ben Isaac. מסכת דרך ארץ זוטא מסכת דרך ארץ זוטא / מתורגם ומפורש על פי כחמינו הקדמונים זל' ומוגה בעיון הטיב מאתי ... יהודה בן יצחק הלוי הארבורגער. MASSECHETH DERECH EREZ SUTTA: EINE SAMMLUNG DER REINSTEN UND KERHAFTESTEN SITTEN-UND ANSTANDSLEHREN DER A¨LTESTEN RABBINEN. Bayreuth; Im Selbstverlage Des Herausgebers, 1839. Clothbound. 8vo. 55 pages. 22 cm. First edition. Text in Hebrew with German translation on facing pages. Title on blue cloth cover reads Oeffentlicher Schulpreis Hurben, "Public School Award Hurben" (Hurben is a small town near Stuttgart), with inscription in ornate handwriting on endpage indicates that this volume is the second place prize awarded to Bela Weil for a public school competition. This work is also the first Hebrew book printed in Bayreuth. (Freimann, Gazette) Subjects: Talmud. Minor tractates. Derekh erez -- Commentaries. OCLC lists 16 copies worldwide. Backstrip worn, with chipping at edges. Covers lightly soiled. Pages lightly foxed and contain dampstains. Very good condition. (DREYFUS-5-18) (ID #28604) $135.00. • Maimonides, Moses and Hermann Hedwig Bernard. THE MAIN PRINCIPLES OF THE CREED AND ETHICS OF THE JEWS, EXHIBITED IN SELECTIONS FROM THE YAD HACHAZAKAH OF MAIMONIDES, WITH A LITERAL ENGLISH TRANSLATION, COPIOUS ILLUSTRATIONS FROM THE TALMUD. Cambridge, Justin Smith, 1832. Original Publisher's Cloth. 8vo. Xxxiii, 358 pages. 22 cm. In Hebrew and English. Subtitle: "Explanatory Notes, An Alphabetical Glossary of Such Particles and Technical Terms as Occur in the Selections, and a Collection of the Abbreviations Commonly Used in Rabbinical Writings. " SUBJECT (S): Jewish law. Jewish ethics. Judaism -- Creeds. Boards somewhat worn along edges and backstrip. A few scattered stains on title page and endpages, markings from previous owner on FEP; otherwise internal pages are nice and clean. Good+ Condition. (DREYFUS-3-3) (ID #28652) $70.00. • Rabe, Johann Jacob. MISCHNAH ODER DER TEXT DES TALMUDS: DAS IST, SAMMLUNG DER AUFSÄTZE DER AELTESTEN, UND MÜNDLICHEN UEBERLIEFERUNGEN ODER TRADITIONEN ALS DER GRUND DES HEUTIGEN PHARISAISCHEN JUDENTHUMS.. Onolzbach, J. C. Posch, 1760-1763. Original Publisher's Cloth. Large 8vo. 6 volumes in 3 books. , 268, ; 294, ; 250, , , 306, ; 294, , 420,  pages. 24 cm. In German. The first German translation of the Mishnah. Title translates to English as, "Mishnah, or the Text of the Talmud: A Collection of the Oldest Papers and Oral Traditions as the Basis of Today's Pharisees Judaism. " CONTENTS: Vol. 1. Seraim. -- Vol. 2. Moed. -- Vol. 3. Naschim. -- Vol. 4. Nesikin. -- Vol. 5. Kodaschim. -- Vol. 6. Tohoroth. SUBJECT (S): Mishnah -- Commentaries. Includes indexes. SUBJECT(S): Mishnah -- Commentaries. Includes indexes. "Verkauft: 1827" (sold) stamp on title page of each book. Endpages are darkened and somewhat fragile. Backstrips are rubbed and worn. Internal pages are lightly darkened, but not fragile, and all text is clear. Good+ Condition. (DREYFUS-3-14) (ID #28663) $300.00. • Ibn Habib, Jacob Ben Solomon, 1445?-1515 (or 1516). קהלת שלמה: אשר הקהיל והאסיף ... וחידוש בה דברים על ספר עין יעקב עם כתנות אור. KOHELET SHELOMOH:... 'AL SEFER 'EN YA'AKOV 'IM KOTNOT OR... (COMPLETE, TWO VOLUMES IN ONE). Amsterdam: Be-Vet Uvi-Defus Hirts Levi Rofe Ben Ziskind Levi,, 1740-1741. Leather, large 4to, 2 volumes. (4, 168; 15, 190 [i. E. 8, 336; 30, 380] pages. ) In Hebrew. Authors: Frankil, Yitsh'Ak' Me'ir; Kotnot or. Ibn Habib, Jacob ben Solomon; 1445? -1515 or 16; 'En Ya'akov. Modena, Leone; 1571-1648; Bet Yehudah. Pinto, Josiah ben Joseph; 1565-1648; Ma'or Enayim. Teomim, Jonah; d. 1559. Shelomoh Yekuti'el Zalman; mi-Gloga. Ibn Habib, Levi; ca. 1480-ca. 1545. Hidushe Kikayon de-Yonah. Contents: 1. Zeraim, Moed -- 1. Yerushalmi Berakhot, Moed, Bavli Nashim, Nezikin, Kodoshim, Tohorot. References: Benjacob; Ayin 295; Friedberg; Ayin 491 edition 26; Vinograd; Amsterdam # 1545 SUBJECT(S) Descriptor: Aggada -- Early works to 1800. Some wear to binding, binding lightly soiled, remnant of original clasps on binding that were broken off. Light staining to top margins of some pages, not obscuring text. Papers with handwritten notes in Hebrew laid in, Text in very good condition. (DREYFUS-4-10) (ID #28584) $375.00. • Karo, Joseph Ben Ephraim, 1488-1575. שלחן ערוך מטור יורה דעה. SHULHAN 'ARUKH MI-TUR YOREH DE'AH. Amsterdam: No Publisher, 1760. Rebound in modern cloth, 8vo,  p, 285 leaves. In Hebrew. SUBJECT(S): Jewish law. Responsibility: 'Im hidushe...Mosheh Iserles´; ve-'Im Be'er ha-golah; ve-'Im Ba'er hetev ve-hu perush. Yehuda Ashkenazi Dayan ben Shimon. OCLC lists 3 copies worldwide (JTS, Stanford, Harvard). Very good condition. (DREYFUS-4-3) (ID #28578) $300.00. • Heschel, Abraham Joshua. A CONCISE DICTIONARY OF HEBREW PHILOSOPHICAL TERMS. Cincinnati; Hebrew Union College, 1941. Clothbound. 4to. 86 leaves. 28 cm. First edition. Terms in Hebrew, definitions in English. "Mimeographed for use in the philosophy classes of the Hebrew Union College-Jewish Institute of Religion. " This grammar of Hebrew terms with English definitions was compiled "to offer the English equivalents of the medieval philosophical vocabulary including the most important philosophical terms of the Hebrew literature of modern times. It is designed as a concise dictionary, not as an encyclopaedic compendium…It is designed primarily for us of the students of the Hebrew Union College, and its scope is entirely pedagogical. " Abraham Joshua Heschel (1907–1972), "scholar and philosopher, descended on his father's side from Dov Baer (the Maggid) of Mezeritch and Abraham Joshua Heschel of Apta (Opatow) ; on his mother's side from Levi Isaac of Berdichev. After traditional Jewish studies, he obtained rabbinic ordination (semikhah). At the age of 20 he enrolled in the University of Berlin, where he obtained his doctorate, and at the Hochschule fuer die Wissenschaft des Judentums, where he also taught Talmud and received a second, liberal rabbinical ordination. In 1937 Martin Buber appointed him his successor at the central organization for Jewish adult education (Mittelstelle fuer juedische Erwachsenenbildung) and the Juedisches Lehrhaus at Frankfurt on the Main. Deported by the Nazis in October 1938 to Poland, he taught for eight months at the Warsaw Institute of Jewish Studies. He immigrated to England where he established the Institute for Jewish Learning in London. In 1940 he was invited by Julian Morgenstern to teach at Hebrew Union College in Cincinnati, where he was associate professor of philosophy and rabbinics for five years. From 1945 he taught at the Jewish Theological Seminary of America (JTS) as professor of Jewish ethics and mysticism. Heschel visited Israel and called for the renewal of the prophetic vision in Zion. He served as professor at JTS until his death, combining his professional activities with extensive social action. " (2007 Encyclopedia Judaica) Subjects: Jewish philosophy -- Terminology. Hebrew language -- Terms and phrases. Hebrew language -- Dictionaries -- English. OCLC lists 16 copies worldwide. The signature of previous owner, Rabbi A. Stanley Dreyfus, on endpage. Includes laid in printed and handwritten correspondence with requesting a photocopy of this volume; includes laid in photocopies and handwritten portions of a 1925 Philosophical Dictionary for comparison of definitions derived from the Hebrew. Backstrip worn and shaken, with torn edges. Covers lightly soiled. Pages clean and fresh. Very good + condition. Scarce. (DREYFUS-6-11) (ID #28712) $150.00. • Olonne, Jean-Marie D'. LEXICON HEBRAICO-CHALDAICO-LATINO-BIBLICUM. Avenione, Guibert & Joly, 1758. Original Publisher's Cloth. Folio. 2 vol. Viii, 723; viii, 852 pages. Frontis. Hebrew-Chaldaic-Latin-Biblical dictionary. Subtitle: "In quo prima pars omnia vocabula, ordine alphabetico disposita, ad suas radices refert, & universas interpretationes cuique genuinas exhibet. Secunda radices ita ordinabit, ut omnia vocabula derivata sub his reperire liceat: quaelibet interpretatio textu sacro in ea comprobabitur: nomina autem propria ad calcem cujusque litteræ pro litterarum serie jacebunt. Opus observationibus grammatico-criticis conflatum. " SUBJECT (S): Hebrew language -- Aramaic language -- Dictionaries -- Latin -- Early works to 1800. OCLC lists 18 copies worldwide. Covers worn with cracking along backstrips. FEP of volume one detached. Internal pages slightly wavy from water exposure, but no dampstains and text is clear. Good+ condition. (DREYFUS-3-18) (ID #28667) $225.00. • פירוש התורה. PERUSH HA-TORAH / COMMENTARIUS IN PENTATEUCHUM MOSIS AA|ABRAVANEL, ISAAC, 1437-1508. BASHUYSEN, HEINRICH JACOB VAN; 1679-CA. 1750.. Hanoviae [Hannover]: Henrikh Ya'akov Mi-Bashaizen,, 1710. Vellum binding, 4to, 343 , 11 leaves. In Hebrew, with Latin and Hebrew title pages. Beautifully printed. SUBJECT(S): Bible. O. T. Pentateuch -- Commentaries. Isaac Abravanel was a "statesman, biblical exegete, and theologian. Offshoot of a distinguished Ibero-Jewish family, Abrabanel (the family name also appears as Abravanel, Abarbanel, Bravanel, etc. ) spent 45 years in Portugal, then passed the nine years immediately prior to Spanish Jewry's 1492 expulsion in Castile. At that time an important figure at the court of Ferdinand and Isabella, he chose Italian exile over conversion to Christianity. He spent his remaining years in various centers in Italy where he composed most of his diverse literary corpus, a combination of prodigious biblical commentaries and involved theological tomes" (Lawee, EJ, 2011). Text in Rashi script. Text block lightly soiled. Very good condition. (DREYFUS-4-8) (ID #28586) $400.00. • תורת יהוה תמימה: ... חמשה חומשי תורה: גם תרגום אונקלוס ... וביאור ... רש"י ... עם חמש מגילות והפטרות. TORAT YHVH TEMIMAH: HAMISHAH HUMSHE TORAH: GAM TARGUM ONKELOS... U-VE'UR... RASHI... 'IM HAMESH MEGILOT VA-HAFTAROT (COMPLETE IN FIVE VOLUMES). Linevil: Avraham Prizek, 1807-1809. Half leather, 8vo, 5 volumes. In Hebrew. References: Vinograd: Luneville 24. SUBJECT(S): Bible. O. T. Pentateuch -- Commentaries. The Five Scrolls were not published in this edition. The Haftarot at the end of each vol. Have a separate title page. Other titles: Bible. O. T. Pentateuch. Hebrew. 1807.; Torat H. Temimah; Hamishah Humshe Torah; Haftarot; 1808.; Seder Hafatrot... Ke-minhag kehilot ha-Ashkenazim ve-ha-Sefardim ve-Italyani... U-shemot ha-te 'Amim ke-minhage k. K. Ha-nal. Responsibility: asher hemah 'Os´im... Yek'L,... Mosheh,... Lima... Be-mitsvat uve-hotsa'ot, be-vet uvi-defus avihem... Avraham Prizek. OCLC lists 2 copies worldwide (JTS, UNIVERSITAT LEIPZIG). Embossed leather spines. Wear to spines and covers. Text in very good condition. (DREYFUS-4-6) (ID #28583) $450.00. • חמשה חומשי תורה. HAMISHAH HUMSHEI TORAH. Antwerp: Cristofori Plantin, [1573-74]. Embossed leather, 12mo, In Hebrew. 389 pages. Hebrew bible [Megillot, Nevi'im Rishonim, Nevi'im Aharonim, Sefer Ketuvim]. Beautifully embossed leather covers. In double columns. Includes the five books of Moses, the Writings and the Prophets. Other titles: Bible. O. T. Hebrew. OCLC notes that "No general t[itle]. P[age]. Was apparently issued. " Missing backstrip. Light wear to leather. On some pages, text is closely shaved on top or bottom, mostly effects headings and page numbers only. Handwriting on the inside front cover and endpaper. OCLC lists 12 copies worldwide. Very good condition. (DREYFUS-2-2) (ID #28631) $1000.00. • Buber, Martin and Franz Rosenzweig. DIE SCHRIFT (COMPLETE IN 15 VOLUMES). Berlin, Verlag Lambert Schneider (Vol. 1-11) / Schocken (Vol. 12-15), [1926-1934]. Original Publisher's boards. 8vo. 203; 175; 125; 168; 145; 102; 112; 259; 270; 278; 295; 228; 237, ; 276; 88 pages. 20 cm. In German. Books one through ten translated by Buber and Rosenzweig; 11-15 completed by Buber alone. "In [Buber and Rosenzweig's] translation, they wanted to recapture the spoken character (Gesprochenheit) of the Bible, so that the reader could become a listener of the ongoing Divine voice. They stayed close to the Hebrew original, to the Hebrew sentence structure and rhythm, to the Hebrew words and sounds. They did not Germanize Hebrew, they surprised German with Hebrew culture. The very fact of the translation itself was a bridging of German and Jewish cultures. " –EJ, 2007. CONTENTS: Bd. 1. Das Buch Im Anfang -- Bd. 2. Das Buch Namen -- Bd. 3. Das Buch Er rief -- Bd. 4. Das Buch In der Wüste -- Bd. 5. Das Buch Reden -- Bd. 6. Das Buch Jehoschua -- Bd. 7. Das Buch Richter -- Bd. 8. Das Buch Schmuel -- Bd. 9. Das Buch Könige -- Bd. 10. Das Buch Jeschajahu -- Bd. 11. Das Buch Jirmejahu -- Bd. 12. Das Buch Jecheskel -- Bd. 13. Das Buch der Zwölf -- Bd. 14. Das Buch der Preisungen -- Bd. 15. Das Buch Gleichsprüche. Grey boards with black writing. Light bumping to the covers of a few volumes, but still nice. Volume one with some chipping at top of backstrip. Otherwise bright, clean copies in Very Good Condition. (DREYFUS-3-10) (ID #28659) $375.00. • Downame [Downham], John. ANNOTATIONS UPON ALL THE BOOKS OF THE OLD AND NEW TESTAMENT. London, Printed By Evan Tyler, 1657. Original (?) Vellum. Folio. 2 vol. C.1150; c.1150 pages. 35 cm. Third Edition. Subtitle: "This third, above the first and second, edition so enlarged, as they make an entire commentary on the sacred scripture: the like never before published in English. Wherin the text is explained, doubts resolved, scriptures parallel'd, and various readings observed; by the labour of certain learned divines thereunto appointed, and therein employed, as is expressed in the preface. " Downame was an English clergyman and theologian in London, who came to prominence in the 1640s, when he worked closely with the Westminster Assembly. Wing: D2064. Original tooled vellum covers; Volume One: lacks original clasps but all braces on boards are present. Covers are somewhat stained and worn with some chipping to edges of backstrips. Front end paper missing corner; Title page missing 2"x3" swatch with minor loss of text. Internal pages are darkened, but not fragile. Volume Two: lacks bottom clasp/bracket but top are present. Some minor dampstains on several pages that are wavy due to water exposure, but all text is clear. Very Good Condition. (DREYFUS-3-4) (ID #28653) $500.00. • Houbigant, Charles-François. PSALMORUM ET CANTICORUM: VERSIO VULGATA ET VERSIO NOVA, AD HEBRAICAM VERITATEM FACTA. Paris, Le Mercier Et Desaint & Saillant, 1755. Original Publisher's Cloth. 32mo. , 391,  pages. 13 cm. Second Edition ["Editio Altera"]. In Latin. Title translates to English as, "Psalms and Song of Songs: The Vulgate [Official translation of the Catholic Church] and a New Translation According to the Hebrew Truth. " OCLC lists 15 copies worldwide. All gilt edges. Leather boards and gilt decorations worn on covers and backstrip; decorative endpages. Internal pages nice and clean. Very Good Condition. (DREYFUS-3-9) (ID #28658) $175.00. • Küsel, Melchior; Johann Baptista Croph; Georg Laub. ICONES BIBLICÆ VETERIS ET NOVI TESTAMENTI: FIGUREN BIBLISCHER HISTORIEN ALTEN UND NEUEN TESTAMENTS [BIBLICAE]. Augustae Vind [Augsburg: A Melchoire Kysel], 1679-1680. Vellum binding. 4to. 245 leaves. 24 cm. First edition. In Latin and German. Five parts in one volume. Later Vellum with marbled endpages, gilt title on leather on spine, many pages throughout restored and repaired at time of vellum binding. The "Biblical Icons of the Old and New Testament" is engraved with 241 images throughout, except 4 leaves with dedication and a preface by Georgius Laub dated Jan. 1, 1680. Latin and German verses by Johannes Crophius are engraved on each leaf. There are also illustrated half-titles and title pages to each Testament, bordered half-titles to part two and three of the Old Testament and part two of the New Testament, with a concluding leaf for the Old Testament, and a final leaf dated 1679. A few of the engravings are signed: Melchior Küsell sculpsit. Subjects: Bible -- Illustrations. Bible -- Picture Bibles. Illustrated works -- 17th century. Engravings -- Germany -- 17th century. A copy sold at auction in 2011 for 1200 E-U-R. Vellum soiled, binding very steady. Pages restored, but heavily soiled, edges wavy and soiled. Slight wormholing at edge of a few pages. Text crisp, images crisp. Very good condition. (DREYFUS-5-17) (ID #28603) $1500.00. • Mendelssohn, Moses. DIE PSALMEN. Berlin; Bey Friedrich Maurer, 1783. Full calf. 12mo. XII, 354 pages. 18 cm. First Edition. In German. Marbled endpages with engraved vignette on title and at end. The Book of Psalms, translated into German by Moses Mendelssohn, was the result of ten years of work, completed shortly after his masterful translation of the Pentateuch into German, which caused a stir of denunciation amongst both conservative Rabbis and Gentiles of the time. Subjects: Bible. O. T. Psalms. Early printed books - 1783. Covers loose, with backstrip missing, but signatures and binding well intact. Very light foxing throughout; in remarkably clean condition. Very good condition. (DREYFUS-5-10) (ID #28596) $400.00. • Reineccius, Christianus. TORA NEVIIM U-KETUVIM = BIBLIA HEBRAICA: AD OPTIMORUM CODICUM ET EDITIONUM FIDEM RECENSITA ET EXPRESSA ADJECTIS NOTIS MASORETHICIS ALIISQUE OBSERVATIONIBUS; NEC NON VERSUUM ET CAPITUM DISTINCTIONIBUS, NUMERIS ET SUMMARIIS. Lipsiae [Leipzig]: Breitkopf, 1756. Contemporary calf. 12mo. , 516, 580,  pages. 18 cm. Fourth edition. In Hebrew and Latin. Spine reads "Tanakh" in Hebrew letters. "Hebrew Bible: a faithful edition with revisions to the manuscripts of the best known additions under explicit ethical and masoretic observances…" by Christianus Reineccius, 1668-1752, a German Christian Hebraist best known for his polyglot lexicon (Leipsic, 1750, 3 vols. ), which contains the Hebrew (with Masoretic notes), the Greek, Latin, and Luther's German version of the bible. His scientific activity was concentrated around the Old Testament text and its language, and his work can be grouped in editions of the Bible, concordances, and dictionaries. His edition of the Hebrew Bible first appeared in 1725, employing the text of the Antwerp Polyglot, with his specific additions in concise Latin summaries, which stand above each chapter. The second edition of 1739 in 8vo is an exact reprint of the first, including printing of all the errors. The third edition in 4to from 1739, wherein the books are arranged in the same according to the order in the German Bible, the pagination is after the manner of German books given. A fourth edition was organized after Reineccius' death in 1756 by Pohl, which was an improved edition made by specifying Kennicott'scher variants and de Rossi'scher. The fifth edition appeared in 1793. OCLC lists 8 copies worldwide. Titlepage and frontispiece absent. Covers worn, with a single wormhole through center of spine. Pages soiled and foxed, with some repaired. Text very crisp. Very good condition. (DREYFUS-5-26) (ID #28611) $275.00. • Piza, Yehudah. זה ספר עזרת הסופר:‏ ‏חמשה חומשי תורה תקון סופרים ווי העמודים עם הגהות אור תורה נכון הוא להגות בו ולהעתיק ממנו ספר תורת ה׳ .../‏. ZEH SEFER 'EZRAT HA-SOFER: HAMISHAH HUMSHE TORAH TIKUN SOFRIM VAVE HA-'AMUDIM 'IM HAGAHOT 'OR TORAH NAKHON HU LEHAGOT BO ULE-HA'ATIK ME-MENU SEFER TORAT HASHEM (COMPLETE IN FIVE VOLUMES). Amsterdam: [Gerard Yohan Yanson Uve-Vet Yisra'el Mondavi], 1767-1769. Leather, 8vo, 5 volumes: I: (11), 65, 26 leaves. II: (1), 67-121, (2), 28 leaves. III: (1), 123-163, (2), 24 leaves. IV: (1), 165-221, (2), 16 leaves. V: (2), 224-272, (4), 277-290, (8) leaves. In Hebrew. Ornamental border on title pages. With Nikud and cantalization points. Each volume has Haphtarot in the back with separate title page. Volume 5 bound with: Calendario facil & curiozo em Hebraico & Portuguez. Prepared by Judah Piza, an 112-year Calendar. Amsterdam, 1769. SUBJECT(S): Bible. O. T. Pentateuch. OCLC lists 12 sets worldwide. [Vinograd, Amsterdam 1942; Kayserling, 91; not in Darlow & Moule]. Rare to appear for sale, a comparable set sold at auction for over 900 USD in 2004. Light wear to leather binding, small pieces of backstrip missing on each volume. Light staining to pages from age. Very good condition. (DREYFUS-2-3) (ID #28630) $850.00. • מחזור: כמנהג ק״ק אשכנזים. MAHZOR HELEK RISHON KE-MINHAG K.K. ASHKENAZIM (ROSH HASHANAH AND YOM KIPPUR). Fiyorda (Furth): Hayim Ben Tsvi Hirsh, . Rebound in black cloth binding, wide 8vo, 232 leaves. High Holiday Mahzor published in Furth (Fuerth, Fyorda, Fiyorda) according to the German rite. SUBJECT(S): Fasts and feasts -- Judaism -- Liturgy -- Texts. Mahzorim -- Texts. Fasts and feasts -- Judaism -- Liturgy -- Texts. Judaism -- Liturgy -- Texts. OCLC lists only one copy worldwide (Bayerische Staatsbibliothek). Very good condition. (DREYFUS-2-1) (ID #28629) $350.00. • SEFER LIKUTEI TSVI IM TOSAFOT BAKASHOT VE-TIKUN HATSOT MISEFER SHAAREI TSION. Sulzbach: Zekl, 1797. Bound in modern black cloth, 16mo, 150 leaves. In Hebrew. "The inclination of Duke Christian-August toward mysticism and Kabbalah aroused his interest in the Hebrew language and led him to grant an authorization in 1669 for the founding of a Hebrew press in his town [Sulzbach]. As a result Sulzbach became renowned in the Jewish world. The first of the Jewish printers was Isaac bar Judah Yudeh Katz of Prague. In 1684 the ownership of his press passed to the Bloch family, and from 1699 until 1851, the year the press shut down, it was held by the Frankel-Arnstein family. " (Rothschild, EJ, 2011). OCLC lists only 2 copies worldwide (Bayerische Staatsbibliothek, Zentralbibliothek Zurich). Very good condition. (DREYFUS-2-4) (ID #28632) $300.00. • Alexander, L. ALEXANDER'S HEBREW RITUAL, AND DOCTRINAL EXPLANATION OF THE WHOLE CEREMONIAL LAW, ORAL AND TRADITIONAL, OF THE JEWISH COMMUNITY IN ENGLAND AND FOREIGN PARTS. London, Alexander, 1819. Later Cloth. 8vo. Vii, 309 pages. Illus. 22 cm. Subtitle: "Being a necessary companion to the Holy Scriptures. Together with several remarkable events relative to the people of the Jews, from the most ancient records. " Sticker on inside cover, "Bound by the Crescent City Bookbindery, 142 Gravier St, New Orleans. " Ex-library with usual markings. Boards detached but present. Backstrip cracking and peeling. Light staining to first 50 pages, otherwise internal pages are nice and clean. Good condition. (DREYFUS-3-17) (ID #28666) $275.00. • Euchel, Isak Abraham. GEBETE DER HOCHDEUTSCHEN UND POLNISCHEN JUDEN: AUS DEM HEBRAI¨SCHEN U¨BERSETZT UND MIT ANMERKUNGEN BEGLEITET. Vienna, A. Schmid, 1815. Original Publisher's Cloth. 12mo. 458 pages. 19 cm. In German. Title translates to English as, "Prayers of the High German and Polish Jews: Translated from Hebrew and Accompanied with Notes. " SUBJECT (S): Judaism -- Liturgy -- Texts. OCLC lists 12 copies worldwide. Stanley Dreyfus' copy with his name on internal cover. Non-archival tape along spine. Internal pages somewhat foxed throughout, but all text is clear. Good condition. (DREYFUS-3-15) (ID #28664) $225.00. • Lunzer, Jack V. and Chimen Abramsky. TWO PRAGUE HAGGADAHS: THE 1556 EDITION ON VELLUM AND THE 1590-1606[?] EDITION ON PAPER. Italy, Valmadonna Trust Library, 1978. Original Publisher's Cloth. 8vo. 20 pages,  leaves. Facsims. Illus. 25 cm. In Hebrew with English foreword and introduction. "This edition of five hundred numbered copies was designed and printed in Verona by Stamperia Valdonega on Magnani mould-made paper. October . This is copy number 454." SUBJECT (S): Jews -- History. Manuscripts, Hebrew -- Facsimiles. Haggada. OCLC lists 18 copies worldwide. Inscribed on FEP "To Rabbi Stanley Dreyfus with greetings, " by Jack Lunzer, founder of the Valmadonna Trust Library, with his business card laid in. Very Good Condition in like slipcase. (DREYFUS-3-12) (ID #28661) $225.00. • Abudraham, David Bar Yosef. SEFER ABUDRAHAM: MALE TOV TA`AM.... Nidpas Poh Prag [Praha]: Bakishen Un' Katsishen Privilegierte Bukh Drukeray [Erkaufte Backische Und Katzische Buchdruckerei], 1784. Rebound in modern black cloth, wide 8vo, , 118 pages. In Hebrew. On title page; "gedrukt in der erkoyfte Bakishen un' Katsishen privilegierte bukh drukeray". References: Vinograd Prague 940. Majority of text in Rashi script. A well-known source of information and learning on the subject of prayers and blessings. OCLC lists only one copy of this edition worldwide (U of AMSTERDAM). Very good condition. (DREYFUS-4-2) (ID #28582) $300.00. • Calisch, Edward N; (Edward Nathaniel). תפלת בית אהבה. TEFILAT BET AHAVAH: A BOOK OF PRAYER FOR JEWISH WORSHIP. Richmond, Va.: Ezekiel & Bass, 1893. Cloth, 8vo, 108, 95 pages. SUBJECT(S): Siddurim -- Texts. Reform Judaism -- Liturgy -- Texts. Judaism -- Liturgy – Texts. Wear to boards, spine rebound in black cloth tape. Pages lightly tanned. OCLC lists only 5 copies worldwide (JTS, HUC, NYPL, Univ. Virginia, Point Loma Nazarene University). Good condition. (DREYFUS-4-1) (ID #28577) $150.00. • Rodriguez Mendes, Samuel. SEDER TEFILOT HA-MO'ADIM: KE-MINHAG K.K. HA-SEFARADIM.... Amsterdam: Be-Vet Uvi-Defus Naftali Hirts Ben Aleksander Ziskind Levi Me-'Emdin, 1726. Rebound in modern black cloth, 12mo, 175 leaves. In Hebrew. SUBJECT(S): Pilgrim Festivals (Judaism) -- Liturgy -- Texts. Mahzorim -- Texts. Judaism -- Sephardic rite -- Liturgy -- Texts. Includes also Hagadah shel Pesah. Other Titles: Mahzor (Sephardic). Pilgrim Festivals; Moadim; Tefilot ha-moadim; Haggadah (Sephardic) Responsibility: mugah 'Al yad Shemu'el Rodrigiz Mindiz. OCLC lists only 2 copies worldwide (Harvard, Ohio State Univ. ) Repairs to first 3 pages done with scotch tape. Very good condition. (DREYFUS-4-5) (ID #28579) $400.00. • Rodriguez Mendes, Samuel. Levi, Naphtali Herz (Amsterdam); (Printer). SEDER LE-YAMIM NORA'IM KE-MINHAG K"K HA-SEFARADIM..... Amsterdam: Be-Vet Uvi-Defus Naftali Hirts Ben Aleksander Ziskind Levi Me-'emdin, 1726. Rebound in modern black cloth, 12mo, 220 leaves. In Hebrew. References: StCB 7492. Vinograd Amsterdam 1283. Sephardic prayer book. OCLC lists 2 copies worldwide, both in the Netherlands (Koninklijke Bibliotheek, Tresoar). Light staining to bottom edge of text block. Very good condition. (DREYFUS-4-4) (ID #28585) $400.00. • Chagall, Marc and Charles Sorlier, Cataloguer. THE CERAMICS AND SCULPTURES OF CHAGALL. Monaco, Andre Sauret, 1972. Original Publisher's Cloth. Folio. 249 pages. Illlus. 33 cm. Marc Chagall was a pioneer of modernism and a major Jewish artist. "His Jewish whimsicality is frequently apparent in his work and his simplification often calls to mind what a child or a peasant might have painted… The preponderance of specifically Jewish subject matter in Chagall's work is significant. He was thoroughly familiar with Jewish customs and his inspiration derived from a clearly definable, specific milieu in a particular period (c. 1887–1907). Though he was inspired by Parisian vistas and by various landscapes in France, the locale for most of Chagall's works is the Jewish quarter of his native city. Equally important is the influence of Hasidism which prevailed in his family. " – EJ, 2007. Preface by André Malraux. Translated from the French by Howard Brabyn. Barely discernable discoloration along top of pages, but all text and illustrations are bright and clear. Very Good Condition with like jacket. (DREYFUS-3-5). (ID #28654) $150.00. • Friedlander, Albert and Herbert Bronstein. חמש מגלות. HAMESH MEGILOT THE FIVE SCROLLS: HEBREW TEXTS, ENGLISH TRANSLATIONS, INTRODUCTIONS, AND NEW LITURGIES. New York, Central Conference Of American Rabbis Press (CCAR), 1984. Original Publisher's 1/4Leather with tooled leather inlays on both covers in Special Slipcase. Folio. Xiii, 323 pages. Illus. 37 cm. Number 11 of 175 copies printed in the summer of 1984 signed and hand numbered by Baskin. Parallel text in Hebrew and English. The five scrolls (Ecclesiastes, Esther, Song of Songs, Ruth and Lamentations), each with their own introduction and liturgy with full-page color illustrations. Illustrated and designed by Leonard Baskin, the "U. S. Sculptor, printmaker, watercolorist, and illustrator. Baskin was the son of a leading Orthodox rabbi, and founder of the Gehenna Press. " –EJ, 2007. SUBJECTS: Pilgrim Festivals (Judaism) -- Liturgy -- Texts. Mahzorim -- Texts. Reform Judaism. Leather bound with gilt lettering on covers and along spine. Bright, clean copy in Very Good Condition with like slipcase. (DREYFUS-3-6) (ID #28655) $475.00. • Kollwitz, Käthe. DAS NEUE KOLLWITZ-WERK. Dresden; C. Reissner, 1933. Clothbound. 4to. pages. 26 cm. First edition. In German. Illustrated with 32 plates. Red cloth over boards with gold gilt lettering on cover and spine. "New Work of Kollwitz", a reproduction of a manuscript of lithographic works and a handwritten catalogue of recent work of K. Kollwitz, a famous German left wing expressionist printmaker and painter whose work was banned by the Nazis, and confiscated from museums. This was her last published work in Germany. Subjects: Gravure -- 19e siècle -- Allemagne. Gravure -- 20e siècle -- Allemagne. Kollwitz, Käthe (1867-1945) -- Catalogues. Light soiling to covers, light aging of edges. Near fine condition. (DREYFUS-5-15) (ID #28601) $50.00. • Leibovitz, Annie. PHOTOGRAPHS- ANNIE LEIBOVITZ, 1970-1990. New York; Harpercollins Publishers, 1991. Clothbound. Folio. 232 pages. 34 cm. First edition. With printed glassine dust jacket. Illustrated with reproductions of Leibovitz's celebrity subjects on photo-pictorial boards. Subjects: Photography, Artistic. Chanteurs -- Photographie. Chanteuses -- Photographie. Célébrités -- États-Unis -Photographie. Portraits (Photographie). Dustjacket lightly chipped at bottom in two places, boards with a few wrinkles. Near fine condition. (DREYFUS-5-16) (ID #28602) $200.00. • Oyved, Moysheh. THE BOOK OF AFFINITY. London, Heinemann, 1933. Original Publisher's Cloth. Folio. Vii, 111 pages,  leaves of plates. Illus. 32 cm. Nr 50 of 525 limited numbered copies. "This Edition is limited to 525 copies…numbered and signed by the author" (Number 50). SUBJECT(S): Epstein, Jacob, Sir, 1880-1959. With coloured drawings by Jacob Epstein. Laid In: Clipping from Jewish Chronicle Watches and Jewelry Supplement, September 15, 1967 titled, "A Jewish Watch" on Moshe Oved. Gilt lettering on black cloth with gilt tops of pages. Boards slightly worn, but still nice. Internal pages bright and clean. Very Good Condition In Good Cardboard Case. (DREYFUS-3-2) (ID #28651) $120.00. • Pann, Abel (Pfeffermann, Abba). DIE BIBEL IN BILDERN. Jerusalem-Wien, The Palestine Art Pub. Co, 1926. Original Publisher's Cloth. Folio. leaves. Illus. 37 cm. In German. 24 Title translates to English as, "The Bible in Pictures. " Title Page: "die Sintflut. Der Turmbau zu Babel. Die Zerstörung von Sodom und Gomorra. Vierundzwanzig Facsimiledrucke nach Pastellen von bel Pann - Jerusalem" [The Flood. The Tower of Babel. The Destruction of Sodom and Gomorrah. Twenty-four Facsimile Prints of Pastels by Abel Pann - Jerusalem]. Each plate accompanied by leaf with Biblical quotation. SUBJECT (S): Bible -- Illustrations. OCLC lists 28 copies worldwide. Spine and top edge of boards sunned. Front endpaper repair. Otherwise internal pages are bright and clean. Very Good Condition. (DREYFUS-3-1) (ID #28649) $250.00. • Singer, Isaac Bashevis; Moskowitz, Ira. REACHES OF HEAVEN: A STORY OF THE BAAL SHEM TOV. New York; Landmark Press, 1980. Portfolio in clamshell box. Folio. 47 pages, 24 leaves. 46 cm. First limited edition, inscribed, number 88 of 250 numbered copies. Issued in portfolio; text part in quires. "An edition of 275 copies printed on Arches paper. 250 copies numbered 1 to 250 contain each a suite of 24 original etchings signed by the artist. 25 copies numbered I to XXV each contain in addition an original drawing. All copies are signed..." Twenty four original art print etchings by Ira Moskowitz, all signed and numbered in pencil. A biographical sketch of the Baal Shem Tov tale told by a master storyteller along with beautiful etchings to enhance the story. Isaac Bashevis Singer (November 21, 1902 – July 24, 1991) was a Polish Jewish American author noted for his short stories. He was one of the leading figures in the Yiddish literary movement, and received the Nobel Prize in Literature in 1978. Subjects: Ba`al Shem Tov, ca. 1700-1760 -- Fiction. Hasidim -- Fiction. Jews -- Fiction. Religious fiction. OCLC lists 7 copies worldwide. Box worn and soiled, with title lifting. First leave with slight soiling, all other leaves in fine condition. Near fine condition. (DREYFUS-5-25) (ID #28610) $350.00. • Jagel, Abraham Ben Hananiah, Dei Galicchi; Louis De Compiègne De Veil. CATECHISMUS JUDAEORUM: IN DISPUTATIONE & DIALOGO MAGISTRI AC DISCIPULI. Franequerae [Franeker, Netherlands]; Joannes Gyselaar, 1690. Clothbound. 16mo. 57, 57,  pages. 17 cm. First edition printed in the Netherlands. In Latin and Hebrew. The "Jewish catechism for children" was first published in Venice in 1595, and printed in London with Latin translation in 1679, the Franeker edition of 1690 is taken from the London example. Yagel's Catechism was reputedly written as an instruction aide for the children of the banker Joseph Fano of Reggio nell'Emilie, when Yagel visited Fano at his summer home outside Ferrara in 1587. Yagel's text is a basic enunciation of the thirteen principle of faith of Moses Maimonides. Subjects: Judaism -- Doctrines -- Early works to 1800. OCLC lists 19 copies worldwide. Later dark blue cloth binding with gilt title on spine. Pages lightly foxed and worn, with some wrinkles on a handful of pages. Outer edges soiled with a small dot of paint on edge. Very good condition. (DREYFUS-5-19) (ID #28605) $400.00. • Buedinger, Moses Mordecai. קול זמרה. KOL ZIMRAH: ODER GESA¨NGE ZUR ERWECKUNG DER ANDACHT UND DES RELIGIO¨SEN GEFU¨LS BEI DER ISRAELITISCHEN JUGEND MIT DREI UND VIERSTIMMIG GESETZTEN MELODIEN. Cassel; Hof- Und Waisenhaus-Buchdruckerei, 1832. Decorative paper over boards. 12mo. VIII, 151  pages. 20 cm. First edition. In German, with some Hebrew. Foreword by the author. Melodies for 3 or 4 voices; words chiefly in German. Berichtigungen (Corrections): p. . "Kol Zimrah, or singing along with the religious awakening of Israelite Youth, with three and four part set melodies, " is a book of hymnals and melodies composed by the Rabbi Moses Budinger, a "German educator; born at Maidorf, a village in Hessen, Jan, 1783; died at Cassel Jan. 31, 1841. At the age of twenty he became a servant in the house of a petty Jewish merchant, and later, by dint of indefatigable zeal, became shohet, Hazan, and religious teacher in a small congregation. After making the necessary preparatory studies during his four years' residence in Naumburg, where he was private teacher, he went to the University of Marburg. In 1820 he became tutor in the family of the court banker Kaulla, in Stuttgart. From 1824 he occupied with great distinction the position of principal teacher of the Jewish pedagogical seminary at Cassel. Büdinger was also a prominent preacher, and very often delivered lectures in the little synagogue attached to the seminary, on moral and religious subjects. In 1830 the philosophical faculty of the University of Marburg gave him the degree Ph. D. For his "Leitfaden beim Unterrichte der Religion. " The government rewarded him by appointing him member of the "Landrabbinat. " His only son was the historian Max Büdinger. " (Jewish Encyclopedia 1906) Subjects: Hymns, Hebrew. Jews - Music - Germany - Cassel. Choruses, Sacred (Children's voices), Unaccompanied. Hymns, German. Psalms (Music). Music -- Manuscripts. OCLC lists four copies worldwide. Backstrip cloth torn at ends, edges of paper boards slightly corroded and bumped. Binding firm. Aged writing on endpages. Page edges bumped, with slight waterstains and soiling throughout, but text very crisp. Good + condition. (DREYFUS-5-6) (ID #28592) $500.00. • Hecht, Simon. זמרות ישראל. ZEMIROT YISRAEL: JEWISH HYMNS FOR SABBATH-SCHOOLS AND FAMILIES. Cincinnati, Bloch & Co, 1878. Original Publisher's Cloth. 8vo. 55 pages. 18 cm. Second Edition; 1st edition with added patriotic hymns. A collection of hymns for Sabbath-Schools with music and lyrics. This edition includes added patriotic hymns because – as the author wrote in the preface to this edition– “while we are jews, we are also Citizens of America finding beneath the protection of the stars and stripes equal rights and liberty with all.” This patriotic feeling was probably a result of the American Centennial of 1876 and the growing assimilation of German Reform Jews into mainstream American culture. This appears to be the first Jewish songster to include non-Jewish patriotic American songs.OCLC lists 4 copies worldwide. Simon Hecht was a bookseller and stationer in New York in 1869 and served as a reader in Evansville, IN, in the 1870s. He published a number of children's works which were often reprinted. The translations and instructions are in English, German, and Hebrew. Wachs 264 (3 copies); Deinard 292? Singerman 2689. Boards worn. Hinges starting. Cloth backstrip absent at top 2”. Minor staining throughout, but all text is clear. Good condition. (DREYFUS-3-16) (ID #28665) $900.00. • Schlessinger, Wolf. כותר נוסף: תפלת ישראל. ISRAELITISCHES ANDACHTS-BUCH: NEBST DEUTSCHER UEBERSCHUNG, MIT NEUEN DEUTSCHEN GEBETEN. New York; Frank'schen Buchbruderei Und Buchhandlung, 1871. Leatherbound. 16mo. 240, 224, 34 pages. 15 cm. First edition. In Hebrew and German. "Israelite devotional book" bound in full leather with elaborate gold gilt decorative and lettering, with buckle clasp, and all edges gilt. At head of title page: Tefilat Yisrael. Bound with Religiose Betrachtungen und Gebete for Israels Frauen und Mädchen.. Subjects: Judaism -- Liturgy -- Texts. Singerman 1432. OCLC lists 4 copies worldwide. Binding starting. Pages clean. Very good condition thus. (DREYFUS-5-23) (ID #28608) $125.00. • Wise, Isaac Mayer. THE COSMIC GOD. A FUNDAMENTAL PHILOSOPHY IN POPULAR LECTURES.. Cincinnati, Office American Israelite And Deborah, 1876. Clothbound. 8vo. 181 pages. 22 cm. First edition. Singerman 2603. With frontispiece of the author, dedication and preface devoted to his recently deceased wife. A published volume of lectures by Isaac Wise, president of the Hebrew Union College, on the questions of truth, will, biology, ontology, materialism, and other foundations of philosophy. Subjects: Philosophy-God. Singerman 2603. Backstrip absent. Boards shaken, edges lightly bumped and worn. Stains to endpages, internal pages crisp, with light pencil marks in the margins of a half dozen pages. Very good condition. (DREYFUS-5-7) (ID #28593) $135.00. • Wise, Rabbi Isaac Mayer. תפלות בני ישורון לראש השנה: כפי מנהג אמעריקא. THE DIVINE SERVICE OF AMERICAN ISRAELITES FOR THE NEW YEAR. Cincinnati, Bloch, 1866. Leather. 16mo. 212pages. 17cm. First edition. In Hebrew, English and German. Original full leather over boards, with elaborate gold gilt design on covers. Following the appearance in 1857 of Wise's prayers for the week-day and Sabbath, this is the first Reform Festival prayer-book printed in America. Passages relating to a personal Messiah, the priesthood and a return to and restoration of a political Israel, were all omitted. See J. G. Heller, Isaac M. Wise; His Life, Work and Thought (1965) pp. 302-5 and 385. Subjects: New Year prayers. Judaism -- Liturgy -- Texts. Judaism -- Prayer-books and devotions. Rosh ha-Shanah. Singerman 1949. Backstrip absent, binding and covers well intact. Pages lightly worn, very clean. Very good condition. A lesser copy sold at auction in 2005 for over a thousand dollars. (DREYFUS-5-22) (ID #28607) $600.00. • (Isaac Mayer Wise) Modena, Leone; Isaacus Reggio. BEHINAT HA-KABALAH: HIBUR KOLEL S. KOL SAKHAL VE-S. SHAAGAT ARYEH /LE-MO. HA-R. R. YEHUDAH ARYEH MI-MODENA ; VE-NOSAFO ALEHEM TA`ANOT VE-HE`AROT... ME-ET YITS. SHEMUEL REGIYO. Goritiae [Gorizia]; Novis Typis Joh. Bapt. Seitz, 1852. Clothbound. 8vo. Xviii, 268 pages. 22 cm. First edition. In Hebrew. Leading 19th century American Reform Rabbi Isaac Mayer Wise's copy, with his ownership signature on the endpage; also includes the later ownership stamp of leading American Reform Rabbi Stanley Dreyfus. Facing title page in Latin reads: "Examen traditionis duo inedita et poene incognita Leonis Mutinensis opuscula complectens, quæ nunc primum edidit, annotationibus illustravit, et examini submisit Isaacus Reggio" (Examination of two unpublished and almost unknown works of Leon Modena, which for the first time is now published, annotated, and submitted to the examination by Isaac Reggio). Isaac Samuel Reggio was an "Austro-Italian scholar and rabbi; born at Göritz, Illyria, Aug. 15, 1784; died there Aug. 29, 1855. Reggio studied Hebrew and rabbinics under his father, Abraham Vita, later rabbi of Göritz, acquiring at the same time in the gymnasium a knowledge of secular science and languages. Reggio's father, one of the liberal rabbis who supported Hartwig Wessely, paid special attention to the religious instruction of his son, who displayed unusual aptitude in Hebrew, and at the age of fourteen wrote a metrical dirge on the death of Moses Hefez, rabbi of Göritz. Besides Italian, his mother tongue, Reggio knew French, German, and Latin, and he studied several Semitic languages in addition to Hebrew. He possessed a phenomenally clear, if not profound, intellect, and as mathematics offered the widest field for his analytical talent, it was at first his favorite study. In 1802 he published in the "Neuwieder Zeitung" the solution of a difficult mathematical problem, which gave him reputation as a mathematician. He discovered also a new demonstration of the Pythagorean theorem, which was praised by Cauchy, the well-known French mathematician. A year later (1803) Reggio went to Triest, where for three years he was a tutor in the house of a wealthy family. There he made a friend of Mordecai Isaac de Cologna, at whose death (1824) Reggio wrote a funeral oration in Italian. He returned to Göritz in 1807, where one year later he married the daughter of a wealthy man and settled down to a life of independent study. When the province of Illyria (1810) became a French dependency, Reggio was appointed by the French governor professor of belles-lettres, geography, and history, and chancellor of the lyceum of Göritz. But three years later Illyria became again an Austrian province, and the Austrian anti-Jewish laws compelled Reggio to resign. He then devoted himself exclusively to Jewish literature and cognate subjects; he studied even the Cabala, but the more he studied it the greater grew his aversion to its mystical and illogical doctrines. Taking Mendelssohn and Wessely as guides, he next made his name celebrated in connection with religious philosophy, and, indeed, became to the Italian Jews what Mendelssohn was to his German coreligionists. In 1822 an imperial decree having been issued that no one might be appointed rabbi who had not graduated in philosophy, Reggio published at Venice an appeal, in Italian, for the establishment of a rabbinical seminary, arguing that just as the emperor did not desire rabbis devoid of philosophical training, neither did the Jews desire rabbis who had had no rabbinical education. This appeal resulted in the establishment of a rabbinical college at Padua, for which Reggio drew up the statutes and the educational program. Following the example of Mendelssohn, Reggio endeavored to extend the knowledge of Hebrew among the Jewish masses by translating the Bible into Italian and writing a commentary thereon. An opponent of casuistry, Reggio rejected haggadic Biblical interpretations and the pilpulistic study of the Talmud. He was persecuted by many German rabbis on account of his liberal views; even his father did not wholly approve of his methods. Nevertheless, in 1846, after his father's death, the community of Göritz insisted upon his accepting the rabbinical office; he agreed, but declined to receive the salary attached to it. After occupying the position for ten years he resigned. … The Behinat ha-kabbala is an edition of Leon of Modena's two pamphlets "Kol Sakal" and "Sha'agat Aryeh"; these Reggio provided with a preface, and with one hundred critical notes forming the second part of the work. In the preface Reggio outlined Leon of Modena's biography. The notes are independent treatises reviewing Modena's works chapter by chapter, now supplementing, now refuting his views. Reggio's main point is that most of the Talmudic ordinances were not intended for perpetual observance; they were practised only by the rigorous Pharisees. It was not until much later, he declares, that the casuists established such ordinances as a part of the Law. Consequently, Modena was, in many cases wrong in attacking the Talmudists. Reggio's theory has been refuted by Simon Stern in the preface to his German translation of Modena's works published under the title "Der Kampf des Rabbiners Gegen den Talmud im XVII. Jahrhundert. " (1906 Jewish Encyclopedia). Subjects: Judaism -- Controversial literature. Judaism -- Apologetic works. OCLC lists 13 copies. Lightly worn covers, endpages soiled, outer edges soiled, pages throughout aged, lightly foxed, and lightly soiled. A well preserved copy though. Good + condition. (DREYFUS-6-18) (ID #28732) $600.00. • Caesar, Julius and Joseph Juste Scaliger. C. IULII CÆSARIS QUÆ EXTANT [CAESARIS QUAE]. Lugduni Batavorum, Ex. Off. Elzeviriana, 1635. Original Vellum?. 16mo. , 561,  pages. leaves of plates. Illus. Maps. Port. 13 cm. In Latin. CONTENTS: C. Julii Cæsaris Commentariorum de bello gallico [C. Julius Caesar's Commentaries on the Gallic war]. --C. Julii Cæsaris Commentariorum de bello civili [C. Julius Caesar's Commentaries on the Civil War]. --A. Hirtii Pansæ Commentariorum de bello Alexandrino [A. Hirtius Pansa Commentaries of the Alexandrian war]. --A. Hirtii Pansæ Commentariorum de bello africano [A. Hirtius Pansa Commentaries of the African war]. --A. Hirtii Pansæ Commentariorum de bello hispaniensi [A. Hirtius Pansa Hirtius Pansa's Commentaries of the Spanish war]. --C. Julii Cæsaris Fragmenta [C. Julius Caesar's Fragmenta]. --De galiæ divisione Aldi Manutii commentarius [The division Aldit Manutii Book]. --Nomenclator geographicus omnium galiæ, Germaniæ & Britanniæ locorum quorum Cæsarem fit mentio, excerptus... È Thesauro geographico Abrahami Ortelii. The first of three Elzevirean eds. Of 1635, distinguished by the buffalo's head in the headpieces of the dedicatory epistle and on p. 1, and misnumbered pages. A. Stanley Dreyfus, grandson-in-law of Leo Baeck's, copy with his name on inside cover. Vellum cover worn with title, publisher and year inked onto spine. Front hinge cracked, internal pages stained and darkened, but not fragile. Good Condition. (DREYFUS-3-7) (ID #28656) $475.00. • Dickens, Charles; Hablot Knight Browne (Illustrator). BLEAK HOUSE. London; Bradbury And Evans, 1853. Half morocco and marbled boards. 8vo. XVI, 624  pages. 23 cm. Illustrated with thirty eight leaves of plates. First edition. Gilt lettering and decorative designs on spine, marbled outer edges, engraved title page, each chapter contains two plates except no. 9 and 10, which contain one and three respectively. "[I]n Bleak House for the first time [society] is seen as an absurdity, an irrelevance, almost a madness. A dark force from which the real people must escape in order to create another society of their own... [Dickens] had been preparing for this novel all his life and, despite the calamities... Which had helped to provoke it in the first place,... Was even happy while he was writing it... It might even be said that Bleak House cured the very malaise which was responsible for its composition" (Ackroyd, Dickens, pages 649-560). Subjects: Young women -- Fiction. Guardian and ward -- Fiction. Illegitimate children -- Fiction. Inheritance and succession -- Fiction. Domestic fiction. Bildungsromans. Legal stories. London (England) -- Fiction. Top backstrip torn at edges but intact. Signatures and binding in excellent condition. Slight foxing, especially around plates, throughout, and light soiling throughout. Very good + condition. (DREYFUS-5-12) (ID #28598) $400.00. • Griffin, S. C. HISTORY OF GALVESTON, TEXAS: NARRATIVE AND BIOGRAPHICAL. Galveston, Tex; A. H. Cawston, 1931. Clothbound. 4to. 408 pages. 28 cm. First edition. Illustrated. Ornate engraved covers. A scarce history of Galveston Island in Texas; the contents are divided into two parts - the first being the text and illustrations of the history of the island (11 chapters through page 128) with the second part constituted of biographical sketches, many with portraits, of the important leading citizens of Galveston. Includes biographical index. Subjects: Galveston (Tex. ) - History. OCLC lists 10 copies worldwide. Light wear to covers, with occasional very light foxing throughout. Near fine condition. (DREYFUS-5-14) (ID #28600) $750.00. • Milton, John. LITERÆ PSEUDO-SENATUS ANGLICANI, CROMWELLII, RELIQUORUMQUE PERDUELLIUM NOMINE AC JUSSU [LITERAE] [LATIN STATE LETTERS]. [Londini] [London]; Conscriptæ A Joanne Miltono, 1676. Clothbound. 16mo. 234 pages. 14 cm. First edition. In Latin. Later cloth bound with gilt lettering on spine. Woodcut print ornament of fruit on titlepage; one of the two states of the year; this copy with a fruit printer's device considered to be the first. Posthumously published "Latin State Letters" (as they are commonly referred to) of John Milton, well known for his work "Paradise Lost", who wrote this surreptitious publication of republican dispatches while in his capacity of Latin secretary to the Council of State, between the years 1649 and 1659. Subjects: England and Wales. Lord Protector (1653-1658: O. Cromwell) - Great Britain. Sovereign (1658-1659: Richard Cromwell). Great Britain - Foreign relations. Great Britain - History - Commonwealth and Protectorate, 1649-1660. Ex-libris punch stamp on title page and bookplate of Thomas Foley of Witley Court. Endpages foxing, very light soiling throughout, edges lightly soiled. Near fine condition. (DREYFUS-5-8) (ID #28594) $950.00. • Ousley, Clarence. GALVESTON IN NINETEEN HUNDRED. Atlanta, Ga; W. C. Chase, 1900. Clothbound. 8vo. 346  pages. 24 cm. First edition. Illustrated. Full title: "Galveston in nineteen hundred; the authorized and official record of the proud city of the Southwest as it was before and after the hurricane of September 8, and a logical forecast of its future. " With gilt lettering and woodcut design on front cover, gilt lettering on spine, and upper outer edge in gilt. Frontispiece portrait of the governor of Texas Joseph Sayers. Published for the benefit of the Galveston public schools, this work, immediately compiled after the devastating hurricane in 1900, documents the wreckage through surveys and photographs of the city of Galveston. Subjects: Galveston (Tex. ) -- Storm, 1900. Galveston (Tex. ) -- History. Light soiling to back cover, slight aging to endpages. Near fine condition. (DREYFUS-5-13) (ID #28599) $125.00. • Rostgaard, Frederic [Friderico]. DELICIAE QUORUNDAM POETARUM DANORUM VOLUME TWO (ONLY). Lugduni Batavorum, Jordanum Luchtmans, 1693. Original(?) Vellum. 16mo. 618 pages. 14 cm. In Latin. Title translates to English as, "Delights of Certain Danish Poets. " CONTENTS: t. I. De poetis danis, ex dissertationibus Olai Borrichii de poëtis græcis & latinis. Henrici Albertii Hafniensis Carmina quibus in prima editione titulus est: Musæa adolescentiæ Venus. Johannis Hopneri Hafniensis... Carmina. Christiani Aagaardi... Carmina. -t. II. Viti Beringii... Carmina. Henrici Harderi Hafniensis Carmina. Olai Borrichii... Carmina. SUBJECT(S): Latin poetry, Medieval and modern. Poets, Danish. With biographical sketches of the authors of the poems. A. Stanley Dreyfus, grandson-in-law of Leo Baeck's, copy with his name on inside cover. Vellum cover worn but still nice with title inked onto spine. Internal pages are slightly stiff from water exposure but no water stains are evident and all text is clear. Very Good Condition. (DREYFUS-3-8) (ID #28657) $135.00.